First reference to “Ivy League”? Some words including names, titles, etc. are so noteworthy or common that we forget they had a beginning – a first use. 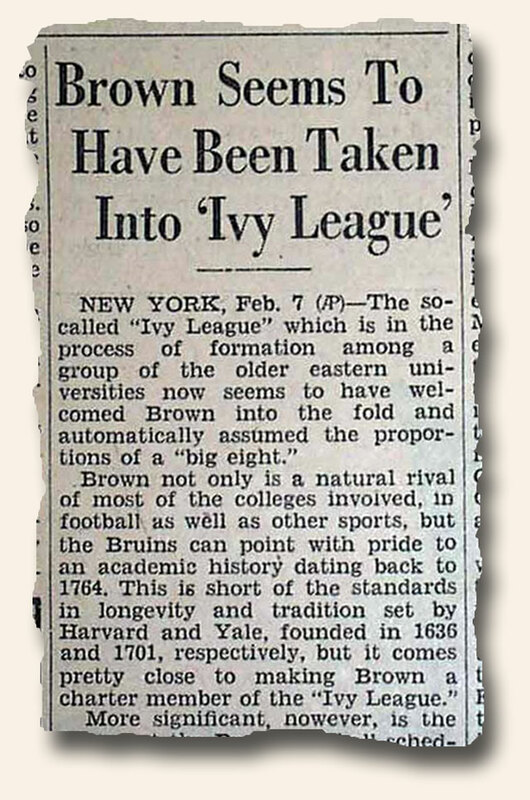 According to Wikipedia, the first public use (in print) of the term “Ivy League” occurred within the Christian Science Monitor, Boston, February 7, 1935. 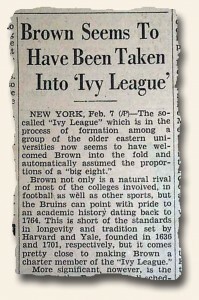 The usage was in reference to Brown University being accepted into the “League”. A quick search on The New York Times database shows that it did not print the title until nearly a half-year later. Is Wikipedia correct? Until we see confirmation to the contrary we’ll assume their assessment to be accurate. If anyone has information to the contrary, please let us know.